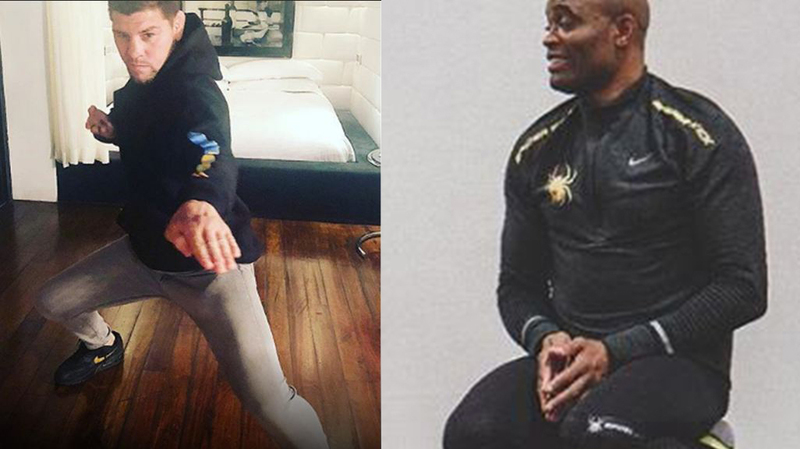 Conor McGregor and Anderson Silva recently talked about their plans to fight at UFC 237 in Curitiba, Brazil. Following his UFC 234 loss to Israel Adesanya, “The Spider” said his match versus Nick Diaz in Curitiba “made sense”. McGregor posted a tweet, asking from UFC to book him for the third fight against Nate at the same card. Nick Diaz hasn’t fought since UFC 183 where he was defeated to Anderson Silva (later overturned to no contest). But he continues turning down fights over and over. Remember when he was in works for the UFC 235 comeback match against Jorge Masvidal? Well, Nick “has never agreed to that fight” and “the promotion tried to lowball him”. The former Strikeforce king Gilbert Melendez gave an update on Diaz brothers, and stated Nick “was retired”. Maybe Melendez is right because, unfortunately, Nick is still not interested in a big comeback. Shortly after Anderson Silva’s callout, the elder Diaz brother turned the rematch down. Drinking and partying sound better than fighting. The elder Diaz brother fought 14 times in the UFC, where he earned the score of seven wins, six losses, and one no contest. Yet, he’ll always be remembered as one of the most interesting and entertaining trash-talkers, who even provoked, humiliated and insulted his rivals during the match. It is unknown whether Nick Diaz will ever step inside the Octagon again. What do you think, will Nick change his mind and accept Anderson Silva’s callout?